When considering motorised blinds you may have many questions that need answers before making purchase decisions. Here are answers to some o f the top questions asked by consumers. How durable is the motor? Various factors play a role in determining the durability of the motor. Keep in mind that you get what you pay for. We recommend that you purchase a product that has a complete warranty. Brands differ, some provide a full warranty, while others only cover some of the parts. Keep in mind that your windows are a central part of your home and are used often, therefore a quality motor is key. What kind of customer support can you expect? The level of customer support you receive influences your perception of a brand. To determine the level of support you may receive if something faulty occurs can be determined through a simple web search. Other customers are likely to report their experiences on some platform, use these to make your decision. Which window treatments are motor compatible? Most widow treatments can be motorised. Make sure with your consultant whether the chosen wndow treatment is motorising compatible, otherwise you may spend a lot of time on the phone after installation has taken place. What remote options or apps are available? Before installing you motorised window treatments ensure that your phone is compatible with the app. Also keep in mind that the remote, just like the motor, should be backed by a warranty. How noisy is the motor? Within the advanced technological time we live, you can now expect a nearly silent motor. Before purchasing the motor, ask to see it in action. During this demonstration pay attention to the noise the motor makes to determine if you are comfortable with it. How is the motor powered? 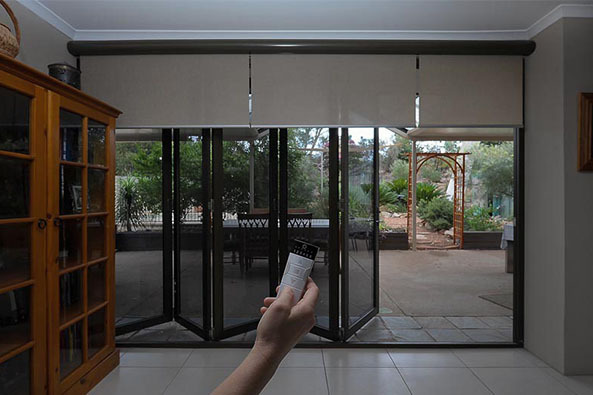 Window treatments that have been motorised are either battery powered, solar powered, plug-in or wired. Each option has its own benefits and is determined by size and type of window treatment. Battery powered motors – these are generally the least expensive as there is no wiring or electrical cost involved. A good battery tends to last a few years, depending on frequency of use. Solar-powered batteries are also an option. Plug & play – these are maintenance free! Systems pug directly into standard household outlets. 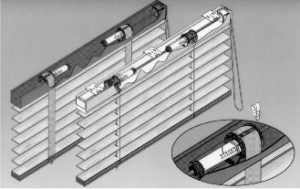 Wired motors – if out of sight out of mind s important to you, then this is the right approach as each individual line runs inside the window treatment to a central power hub inside your wall.